I just had a new article come out on the CBC. 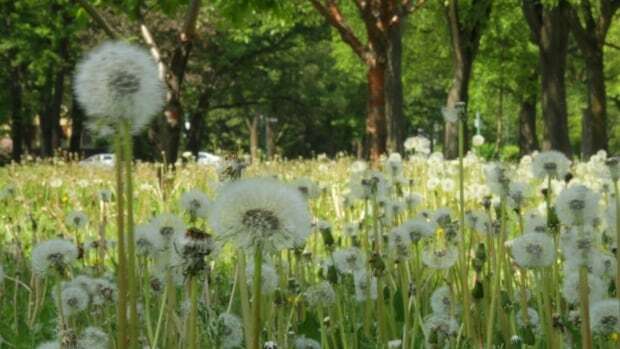 It's about Winnipeg's urban density and pollution. 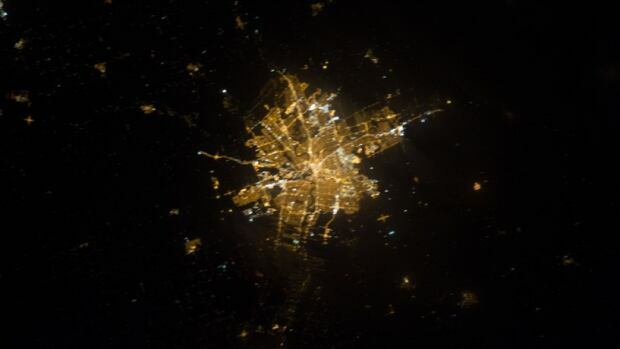 The image they matched with the article, above, is what the light pollution in Winnipeg looks like from above at night. Wow, that's bright. If city regulations were tightened up a bit, it might make living in close quarters an easier (quieter?!) experience. Alas, my hands have been too full holding on to four year olds to snap sheep photos, too. Hope you are having a good Canada Day/July 4th/first week in July! It's been a busy time, complete with a a bunch of vaccines (dog and kid), some stitches being removed (from Harry the dog, he had surgery last week, he's fine) and a kid's nasty ear infection. I've been rushing around from the vet to the pediatrician's office today. I am beat! New Pattern and new eBook! Here's a portion of what's been going on behind the scenes here! This announcement will hopefully be going out as a press release today...and these have already been (quietly) launched on Ravelry, too! 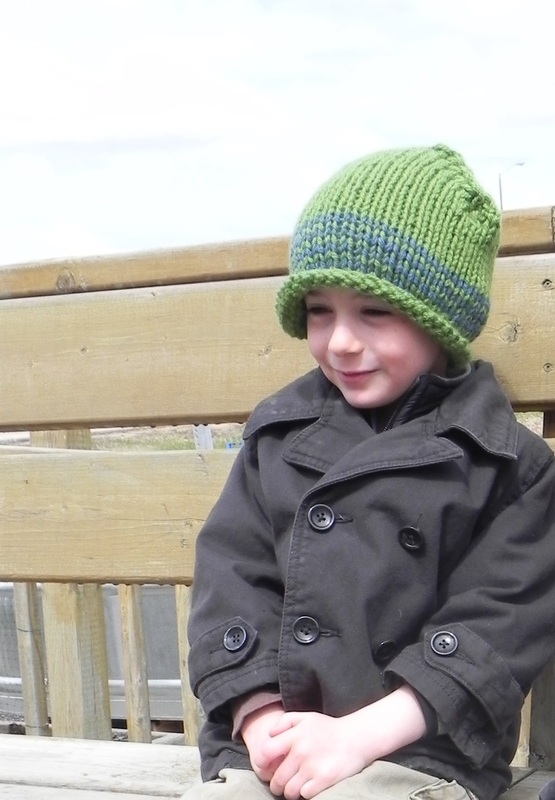 Introducing a new Yarn Spinner Story + Pattern --Riverbend Garden Hat. The new Yarn Spinner Story + Pattern series allows readers who knit (or knitters who read) two pleasures at once: downloadable short fiction on Ravelry, accompanied by a pattern that stands on its own. This is a sweet combination for thinking knitters, particularly ones using a tablet or smartphone. An adult learns his mother’s biggest secret. Riverbend Garden: A Love Story, features a middle-aged man as he rediscovers the familiar is not what it seems. A mid-20th century teacher, a loving mother, serious gardener and knitter, Dickie’s mom lived an unremarkable, but lonely life. Yet, she has time for one last story; of a dappled river bend garden, an empty marriage, a widowhood, and a student whose love transforms all boundaries. 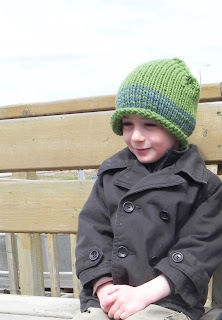 This story pairs with a hat to fit everyone, from a small child to a grown man. It’s a fast project; knit with super bulky or a doubled worsted yarn. Make an extra to keep others warm; Dickie’s mama would want you to pass one on. 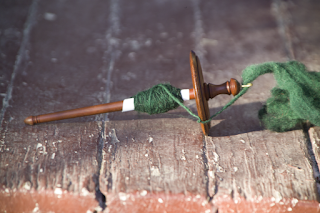 Three Ply, the first Yarn Spinner Story+ Pattern eBook, is now available for Ravelry download! 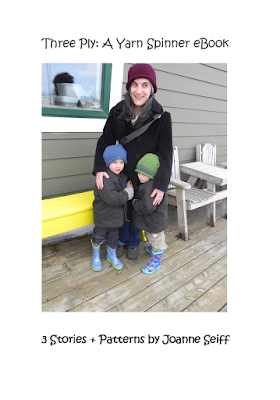 It includes three patterns, for a hat, mittens and a cowl, and three stories: Riverbend Garden, as well as The Hole Inside and Knitting for Mother Earth. All three patterns are also available individually for download on Ravelry. The Hole Inside offers unrequited love from an independent knitter. On a business trip, she’s invited to a knitting group. Settle into a coffee, a college town, and an unsettling surprise from the past. Knitting for Mother Earth catches a young woman on a commuter train. She alerts a fellow passenger to potential danger…and in the aftermath of attempted terrorism, builds a strong bond through knitting. -Paired with a super bulky cowl pattern, ideal for hand dyed or handspun one-of-a-kind skeins. If you have a copy of the magazine, you will see one shot with a spindle on a white background. 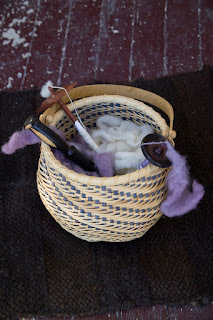 This is a "spindle" basket, ready to go: I put it over my arm, loaded with fiber, and wander around spinning. Works very well while watching twins or helping at the Manitoba Fibre festival! My boys are four years old today. Here they are, modelling my new hat design (pattern to be released soon!) and blowing funny kisses to the camera. Thank you to everyone who has helped us make it to four years old! I haven't blogged lately, in part because just keeping up with life seemed hard. I had some weird snafus; things that got lost in cyberspace, didn't get published, stuff like that. Nothing major, I let it go, but it meant some things I wrote, time and energy got lost along the wayside. Recently, I've focused on my work efforts here. Several readers have asked me to send links to my articles and this allows me to do it one place. I've started publishing knitting patterns more regularly again after a long hiatus, and the blog allows me to announce them, too. I'm excited about this focus on my work life, which I'm slowly regaining. On a good week, I get maybe 10-15 hours a week to work. The thing I can celebrate as the boys turn 4 is getting back a little of my professional freelance life back as well. 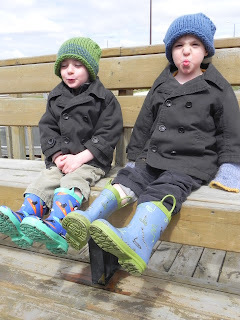 Twins are all consuming, and in a place where it is hard to access childcare and we have no nearby family, I sometimes spend weeks or months trying to manipulate all the household obligations so I can find time to write and design. Preschool and summer camp (X two kids) become essential.